From the first page of the book you are hooked. The description of the characters is so clear it’s like they are standing in front of you. Catherine Storm has returned to Sanibel Island. She seeks the tranquility and solitude that her favorite getaway spot has always offered while she struggles with decisions she must make regarding her career and her future. The last thing Cat expects is to find herself in the arms of a troubled, former Special Forces commander – while dodging an assassin’s bullets. After more than a decade in the Army, Colton James put down his rifle and picked up his camera to block out the haunting images of his last mission in Afghanistan. His days of protecting the innocent are behind him – or so he thinks until he literally runs into the short-tempered, independent pixie who has unwittingly become the target of a killer. Who wants Cat dead and why? While they search for answers, Colt knows he must do everything in his power to keep this woman safe – because whether she realizes it or not, her future lies with him. Read more of Santuary Island Purchase your copy today! What a fantastic read! 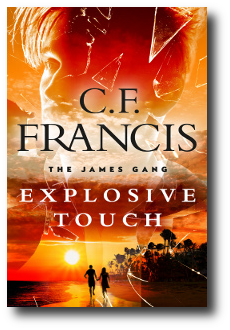 Suspenseful, quick paced, hot …. and steamy! First book! Winner!!!! I started reading…and could not put the darn thing down!…I loved Cat and Colt….their romance brought out the best in both of them. Plenty of suspense…! I am so looking forward to more books in this series! This is definitely an author that I will continue to follow! LOVED it!!!!! Well woven story … Characters are flawlessly drawn and… Dialogue is smooth and pertinent. Even though I don’t normally read romantic suspense, this book has enough twists in it to keep me guessing….and reading to the end. Josette Boussard is on the run—running to the only person she can trust, the only man she’s ever loved. Beaten, battered and off the grid, Josie has no idea who is after her but it has something to do with a message that was sent to her by a friend—a friend who is now missing. After attending the wedding of his former Special Forces commander, Lieutenant Steve Brody has decided it’s time to track down Josie and settle things between them. The status of their “marriage” has remained in limbo long enough. 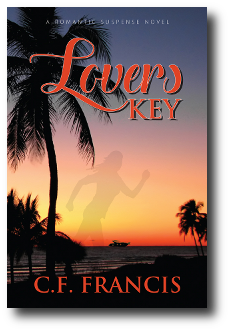 But before he leaves Sanibel Island in search of her, an unconscious Josie is literally dropped into his arms. While Steve and Josie deal with the issues that have kept them apart, they must also work to discover who is hunting Josie—because it has become increasingly clear that the price for the information she possesses is her life. 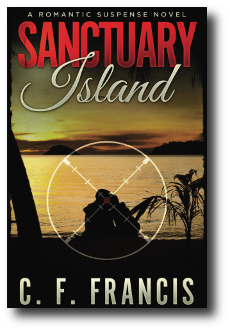 A great sequel to “Sanctuary Island!” Just a delicious book with well drawn characters you care about. Smooth dialogue, sexual tension, and thrilling scenarios. What a great read! Just enough intrigue, mystery and suspense to keep you guessing. Sultry and steamy to have you wiggling in your seat!! ;-). This author does not disappoint! The excitement starts in the prologue and keeps right on going–this is a book that will keep you up reading “one more chapter”…the cast of characters and her suspenseful finishes never fail to hold a surprise. Highly recommended.